It’s been 20 years since Pixar released Toy Story, the first computer-generated feature film which single-handedly changed the face of the modern animated movie, and it’s no secret that they’ve had an incredibly successful track record since that first breakthrough effort. After seeing their newest feature Inside Out, I can say with confidence that it stands among with very best that the studio has produced thus far and with time and repeated viewings, it may even usurp the top spot from WALL-E as my all-time favorite from Pixar. This movie is pure magic: endless imaginative, exceedingly clever and profoundly thoughtful on a universal level. The story, which takes place primarily inside the brain of an eleven-year old girl named Riley, introduces us early on to personified figures of her deepest emotions: Joy (Amy Poehler), Sadness (Phyllis Smith), Fear (Bill Hader), Disgust (Mindy Kaling) and Anger (Lewis Black). Together, their job is to manage Riley’s impulses properly and make sure that she leads a happy and balanced life. The team is also in charge of creating and storing memories for Riley and when the core memories are thrust into jeopardy after an accident, it takes an entire group effort to ensure that every part is re-assembled perfectly to keep her personality and well-being fully in tact. Voice work is often overlooked and under appreciated in animated movies, so I’d like to bring attention to the tremendous job that this entire ensemble does in the film. Every part is exceptionally well cast and tailored especially well for the performers, most notably in the case of Lewis Black as his seething, acerbic comedic persona forms a perfect marriage with the Anger character. For me, the main standout performance belongs to Amy Poehler, who takes the potentially one-dimensional character of Joy and imbues her a believable depth of understanding. Pete Docter, who also directed Pixar high-water marks like Monsters Inc. and Up, once again demonstrates his mastery of visual style with vivid setpieces that contour perfectly to the setting of a child’s imagination. New characters and concepts are introduced with an organic fluidity that appropriately make it seem as though the story is inventing itself as it goes along. I don’t want to give too many details, as this is a movie that’s best to be discovered fresh the first time around, but one sequence which involves multiple characters getting caught in a chasm of abstract thought had me gazing at the screen slack-jawed due to its sheer audacity. 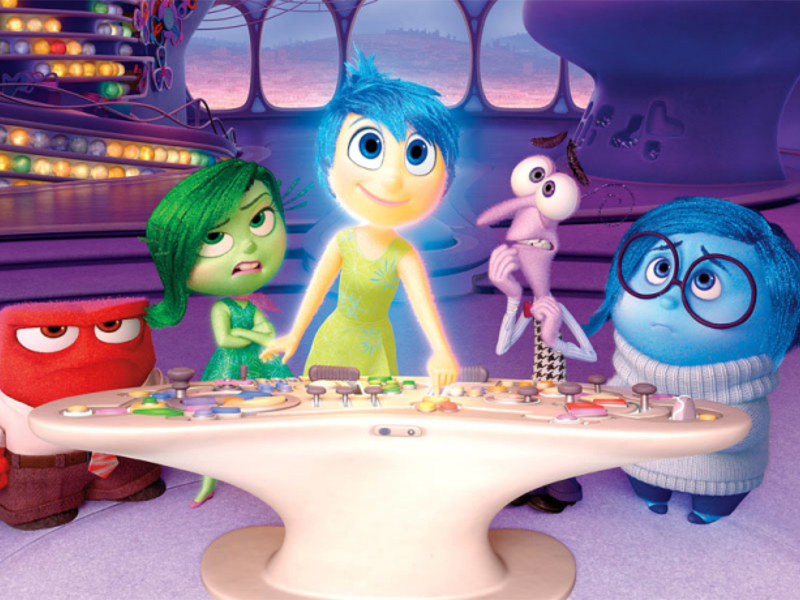 Like almost all the other Pixar movies before it, Inside Out has a wonderfully original setup but the execution here is more precise than it’s ever been before. It clocks in just over an hour and a half and not a second feels wasted, a testament to Docter’s abilities as a storyteller. Most importantly, its final message is remarkably poignant and one that should resonate equally for both parents and kids in the audience. Bursting at the seams with all kinds of wit and wisdom, this movie has all of the hallmarks of an instant classic.